About Christmas in Italy: Christmas in Italy begins with Advent, a period of fasting before Christmas, much like Lent, the fasting period before Easter. It begins the fourth Sunday before Christmas and lasts until Christmas Day. 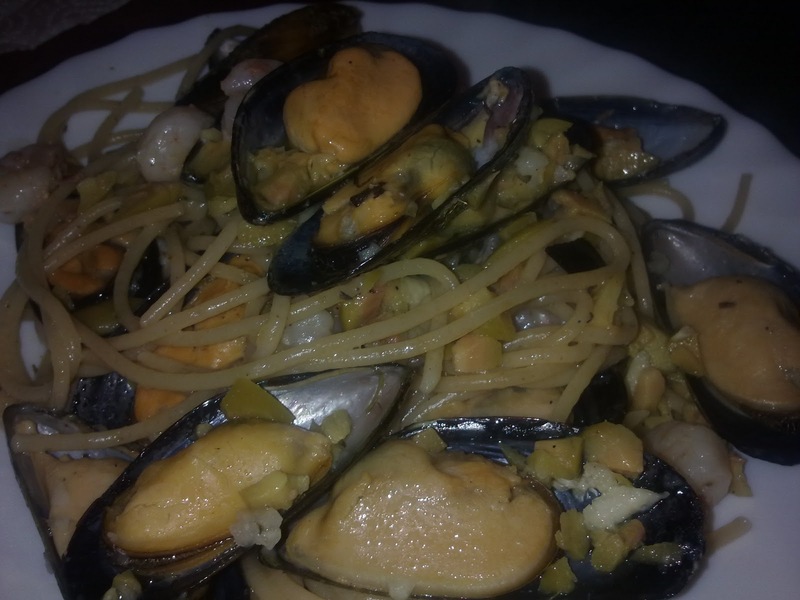 During these weeks, in Italy, and most of Europe, there are Christmas fairs and events and many Catholics abstain from eating meat, hence the Christmas Eve tradition of the “Seven Fishes” dinner, which is a meal made up entirely of fish and seafood dishes, like pasta with mussels and red sauce. In Italy, as in much of Southern Europe, Christmas decorations and events are centered around the religious calendar of Baby Jesus’ birth. The most popular decoration is by far the Nativity Scene, believed to have been created by the Italian Saint from Umbria, St. Frances of Assisi for his Christmas Mass one year. Traditionally, children don’t receive a visit on Christmas Eve from Santa Claus, a recent addition to Italian Christmas imported from America, but instead are brought their gifts by La Befana, the Christmas witch, on the eve of Jan. 6, Epiphany on the Catholic calendar. , onions and coal. Believed to be a good housekeeper, she is thought to sweep up the mess she brings in coming down the chimney. Italian families usually leave her a glass of wine and a small portion of pasta, or whatever was left from dinner. Note: While La Befana is an Italian tradition, the tradition of giving gifts on Epiphany is widespread throughout Southern Europe. A long, long time ago, back in the days before Jesus was born, there was a very old woman. Older than your grandma-ma, but she wasn’t a grandmother. She was very bitter, very ugly, and very alone in this world because years before, when she was still young, she had lost her only son. Almost every day she would open the trunk where she stored his baby clothes and she would cry. His swaddling served to wipe away her bitter tears. Soon after her son passed on, her husband had fallen ill and died and so La Befana was left to mourn all by herself. Back in La Befana’s day, respectful mourning forced people to wear black and dreary colors for years. People also avoided rich foods and happy occasions during the long years of mourning, so La Befana became a very grouchy old lady who spent all day cleaning her house and sweeping the floor. Of course the floor, being made of dirt, was never quite clean enough for La Befana. Wouldn’t you be grouchy if someone told you, that for 10 years you couldn’t go to parties, wear your favorite color or eat pizza, and your only joy was cleaning your house which always got dirty again? Or even worse, if you were so sad you didn’t even care? One year, in the cold of winter, some shepherds came walking through the farmlands around La Befana’s little cottage. The cottage had a fireplace, a hard dirt floor, a donkey and a cat. The cat was black with orange and white spots. Although La Befana didn’t know it, it could talk, but mostly liked to meow. The donkey was gray and liked to kick and hee-haw. These were La Befana’s roommates. The Shepherds knocked on La Befana’s door, “rappity, rap, rap,” with a walking stick. 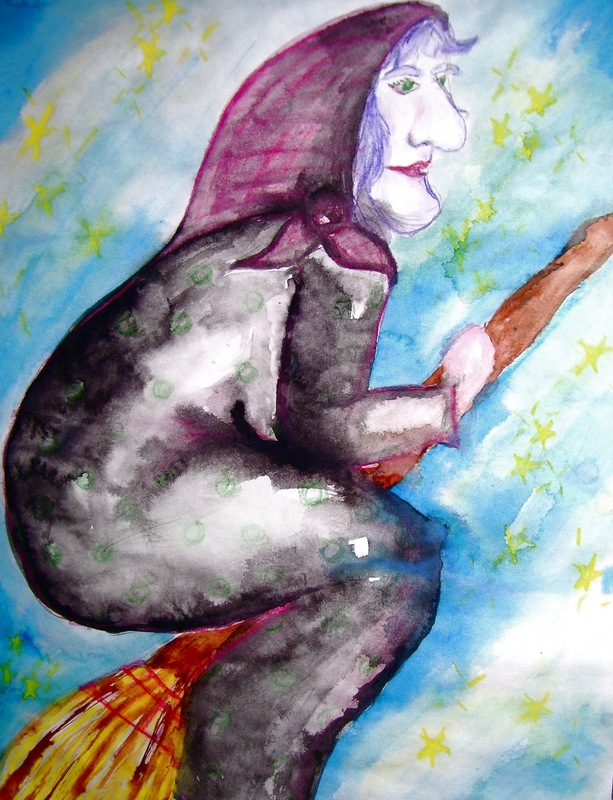 La Befana turned and whispered to her roommates, “Ssshhhhhh! If we are very quiet, maybe they will go away.” The black cat with orange and white spots understood, of course, because he spoke the human language. The gray donkey cocked his head. He had no idea what the old lady wanted. He was sure of one thing though, he wanted to kick and hee-haw. He hadn’t eaten all day, and it was so cold in the cottage that some of the fur around his hooves was frozen. “Rappity, rap, rap,” the Shepherds knocked again. “Sshhh!” said the old lady again. What did she mean by that strange noise? How could he respond? The donkey decided she must want a response. “Hee-haw! Hee-haw,” and he added in a kick for good measure. The black cat jumped so high so fast it seemed God had quickly picked him up and set him back down again. “Foolish animal!” screeched La Befana to the donkey. Now she had to answer the door. Could it be the Christ child? The one we have waited for? Would God finally give his people hope? La Befana bitterly remembered her lost boy. Where was God when her son and her husband left her so alone? All the same, she decided to share what little she had with the shepherds. Whether or not she shared their belief that the shooting star meant something, she was moved by their hope, and sorry to realize she had lived many years without it. “Of course you may take your flock to drink at the stream, and you may eat any fish you can catch there, and cook them at my fire, but to do so, you will have to break the ice on top. These and my best wishes for a safe journey are the only comforts I can offer, but you are welcome to them.” So the shepherds took their sheep to drink from the stream, and a young shepherd with black curls and still blacker eyes brought La Befana the fish to cook over the fire. “Be sure to put one aside for you and your spotted cat,” he said. “You must be strong to celebrate the birth of the Christ child. He has finally come to save us all. They say he’s born of a young girl named Maria among the animals and the hay, in a humble manger in the light of the stars. The stars are witness to it all, and so guide us to where the holy child rests.” La Befana smiled at the young boy. She imagined he was the son she had lost. “I’m too old to make the trip, and I can’t leave until this dirt floor of mine is really clean, but if you will, come see me on the way back, and tell me about what you’ve seen.” Too soon, the shepherds had to leave, and La Befana was alone again with her donkey and her cat, who was contentedly cleaning leftover fish from the bone. “Yes, a few days ago some shepherds stopped here on the way to see the Christ child. They told me of a shooting star.” The kings looked at each other, and nodded. “Which way did they go?” La Befana pointed to the east. “We must be on our way, would you like to come with us?” said the oldest of the three kings. Since then, every year on the eve of Jan. 6, La Befana mounts her broom and flies around filling the stockings of children in her native Italy with candy and small gifts in the hopes of showing God her gratitude for the gift of the Christ child she was too foolish to see. Be good, and leave her a glass of wine and a small plate of pasta, and perhaps you will see her sweeping up the ashes around the chimney before filling your stocking with candy and little gifts.